We are a private security company that specializes in protection with armed guards. Steadfast and Vigilent. SecuraGuard, Inc. provides armed and unarmed asset protection and close personal protection services to individuals and industries in private, public and governmental sectors. SecuraGuard is operational in Arizona, Texas, Colorado, New Mexico and Mexico. 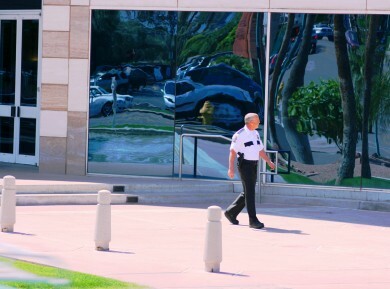 SecuraGuard provides comprehensive security solutions for entertainment, financial institutions, corporate, retail, special events, industrial and secure facilities. Contact us today to learn more! I would just like to conclude in saying how impressed I’ve been in working with SecuraGuard, they have always come through on what ever tasks and events I have asked of them to do…. I would strongly recommend them to anybody looking to hire security for their company or for an event being held. Protection – The result of superior Preparation and Prevention is client Protection. This is the essence of P3. ©2019 Securaguard - An INNOVIATM Marketing Solution.